Deep in the crevasses of the Songshan mountain range, an Indian dhyana master established the first Shaolin Monastery in 477 AD, seeking to spread the relatively new teachings of Buddha at the time. This monastery then bred the Shaolin monks, who are now popular for their incredible feats with Chinese martial arts, particularly with Shaolin Kung Fu. Since then, Chinese dynasties have been both built and destroyed, but the lives of the monks have persevered through both progress and persecution. Modern Shaolin monks are popular and known throughout the world, which is evident from their presence even on the silver screen—especially in martial arts films. More than a million people per year visit Shaolin in order to capture a small glimpse into the simple yet extraordinary life of a Shaolin Monk. The allure of the Chinese monks hinges on the relatively unchanged lifestyle that they have lead for hundreds of years. They follow strict schedules, which include waking up extremely early (5 a.m.), followed by constant strenuous and physically punishing training sessions and bouts of meditation. One habit of the monks' lives that is key to their success is their well-known vegetarian diet. Like every other aspect of their lifestyle, the diet is centered around Buddhist ideals, like purity and simplicity. The traditional diet of the Shaolin monks consists primarily of rice, vegetables and fruits—all of which are grown in the confines of the temple. While what they eat is no secret, it's rare to get a glimpse into the actual meals, as most temples bar technology from being used inside. 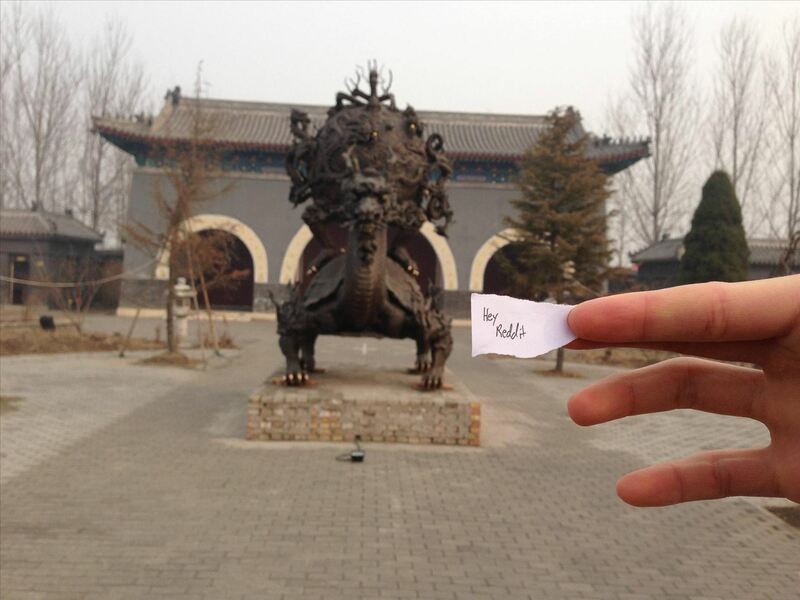 Redditor pie5135 is a Korean-American student currently taking a gap year in China at a secretive martial arts school/temple for four months. He posted a guide to eating like a Martial Arts Master, including what, when, and how to eat in order to use your body to its full potential. In the thread, pie5135 described a bit of the foreground of the martial arts school, mentioning that his master is one of the last genuine descendants of the original Imperial Guard of China. Out of hundreds of applicants, only 20 are selected at a time to experience and train with him. He then goes on to break down his dietary experience into two sections—theory and rules. We are designed to eat as if food was scarce. Half the digestion process is manual. Food should not be a mystery. Chew 30 times per bite. Your food should become into something similar to a liquid or porridge before you digest it. Use all sides of your mouth to prevent soreness in your jaw. Chewing helps your body break down food much easier because of enzymes that break up and increase the surface area of the food. While you're chewing, put your utensils down. This allows you to focus on your current bite, without having to prepare for the next one. This also gives your body more time to digest the food. Eat everything on your plate. This actually encourages you to put less on your plate, because we usually tend to overcompensate and smother our plates with too much food. As a general rule, start out by only putting about 1/2-2/3 of the amount you're accustomed to eating. Think before you attempt for seconds. If you want more food because you're hungry, it's fine to take more. If you want more food simply because you want to taste more food, it's better to lay off the seconds. Give your body time to get full before you try for seconds, as unnecessary extras might result in a food coma. Forced bites are not good. Eat everything with chopsticks, including rice. Chopsticks are ideal for gathering the right bite sizes. Set up a time limit (around 20-30 minutes) within which you cannot finish your food. You have to finish afterwards. The slower, the better. 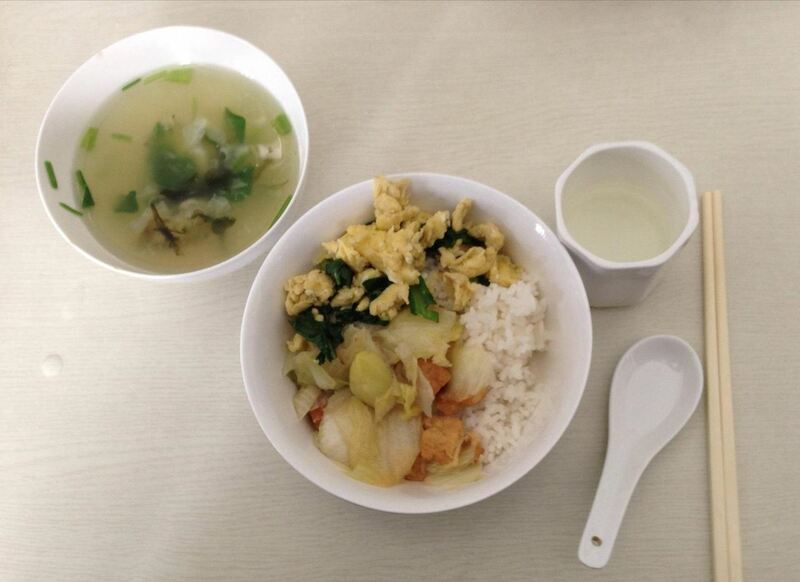 The meals are divided into portions in terms of weight, which is 1:1:2 with vegetables, tofu, and rice. 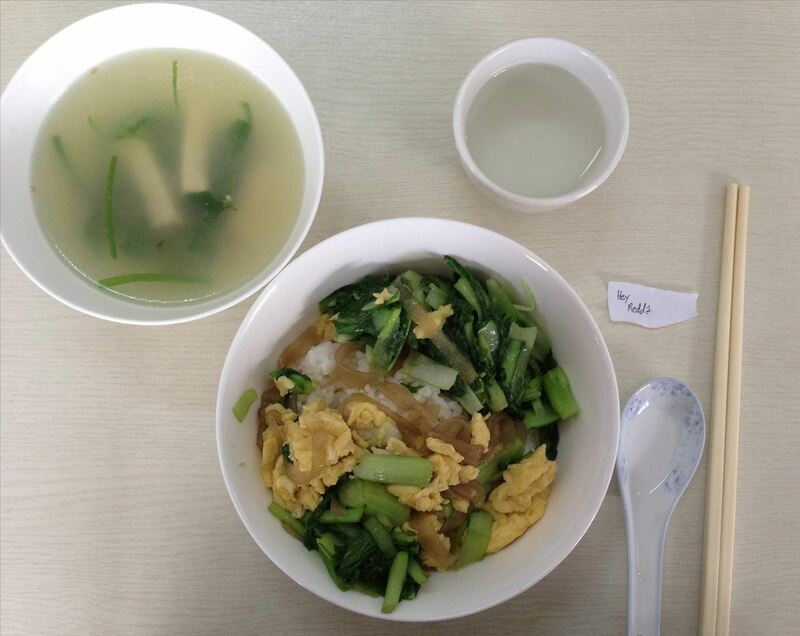 They also have eggs, tofu and broth, which is made by both the students and cooks that they have at the monastery. The taste of the food comes from the plants themselves, with no additives. Ideally, one should know everything that's in the food and know how to eat it. They also drink plenty of water, with a glass before eating and then 3 to 4 more by the end of the meal. Together, following these steps will exercise your willpower and thus help build it. Not only is this ideal for martial arts training, but for everyday activities such as doing homework, reading and working. A greater reserve of willpower will crush the limitations of what you can do, allowing you to focus much better and experience success at a higher rate, all done by just following these simple ancient training methods. "I've lost about 1kg a week so far even though I wasn't allowed to do any martial arts during the first week (I was told to observe). Though I expect this to plateau when I get into the rhythm, I was shocked by the sudden loss. I was initially worried about losing muscle mass, but I exercise every night and feel stronger, if anything. I feel fantastic and my brain is functioning with an incredible clarity. I'm zooming through my books, my calc textbook and online coursera classes, and I don't feel any sleepiness after eating anymore." While the dietary habits are important, food isn't the only change that he has made while at the martial arts temple. Some of the other habits he is now following include sleeping strictly from 10pm-6am, making his bed through a meditative process, learning about goals and respect, showering every other day, and meditative training. For more details and photos from this incredible experience, check out the original thread on Reddit.